Forget the Early Polls. Is This Democrats' 2020 Frontrunner? For months, when friends ask me about the upcoming Democratic presidential primary -- which is very much underway, as two more candidates have waded into the fray since our last analysis -- I've often raised the same name as the person I suspect is best-positioned to prevail: Kamala Harris, the freshman Senator from California. I fully recognize that early conventional wisdom and political game theory is often exposed as amusingly wrong when voters actually start going to the polls, but Harris isn't a bad bet, even in spite of her (nearly meaningless) polling position. Why? At 54, Harris is two decades younger than some of her septuagenarian competitors – an age that enables her to appeal to the Instagram crowd without being painted as inexperienced. A child of immigrants, she brings diversity to a party obsessed with racial and gender politics...Harris has been in the Senate only two years – not long enough to amass a voting record on thorny issues or carry the stench of Washington. She has used her perch on the Senate Judiciary Committee to filet Trump nominees and earn plaudits from liberals. 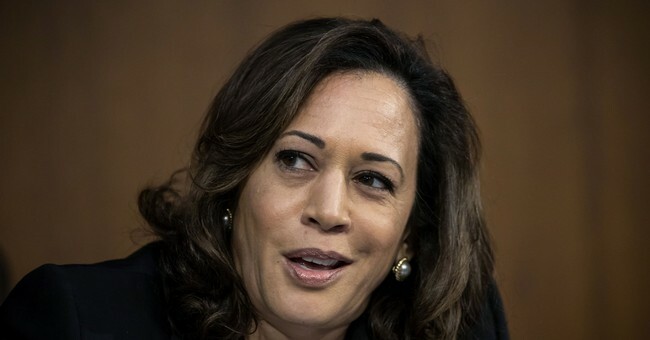 Harris represents California, whose nearly 40 million citizens account for 12 percent of the entire country’s population. Typically an afterthought in the voting process with its June primary, the Golden State moved its date up to March 3. The leap-frogging means it will play an outsized role in the nomination, and its hometown representatives stand to benefit. Some of Harris' tough-on-crime stances may not sit well with leftists and civil libertarians, while her immigration views are hard Left. In addition to advocating on behalf of an illegal immigrant seeking a license to practice law (!) in California, she's come out not just against border barriers, but also against other forms of enforcement: "In April 2018, Harris urged the Senate Appropriations Committee to 'reduce funding for beds in the federal immigration system,' reject calls to hire more Border Patrol personnel, and 'reduce funding for the administration’s reckless immigration enforcement operations.'" Click through for other tidbits ranging from eyebrow-raising episodes from Harris' personal life, to an 'unprecedented' arrangement involving Los Angeles taxpayer dollars being directed to cover her security as she traveled across the state. UPDATE - As Gillibrand gets in, another Democratic Senator inches closer to entering the field.